Wozzeck is an adaptation of Georg Büchner’s play, Woyzeck. The play has been performed on stage since 1913. It was the basis for Alban Berg’s popular 1922 opera and Manfred Gurlitt’s less popular one from a few years later. The Nazis banned both of these operas, but not the play. Gurlitt went on to make amends with the Nazis, which hasn’t helped his legacy (Berg died in 1935, so it never became an issue). The spelling of “Wozzeck” came from a misreading of the title due to the poor condition of Büchner’s manuscript, which was almost indecipherable due to fading. The story of Wozzeck is well-known and based on an actual event. It is about a young soldier, so tormented and abused by his superiors that his mind finally snaps and he kills his wife. Georg Büchner never finished the play. It is believed that he had intended to end it with a courtroom scene that would tie everything together. As it stands, there’s a lot of room for interpretation, but the basic point never changes: You can’t treat people as inferior beings without consequences. 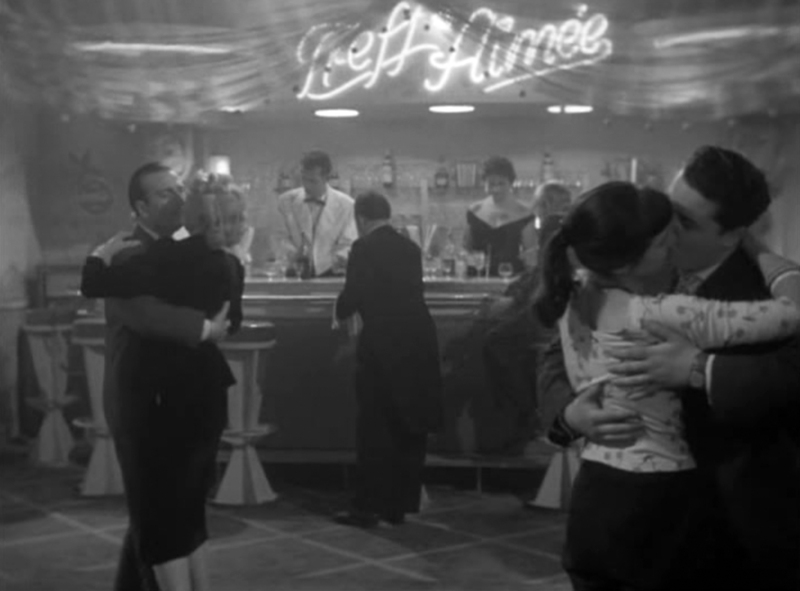 The DEFA film was the first film to be made based on the play. Since then, it has gone on to be the most often filmed of Georg Büchner’s works. 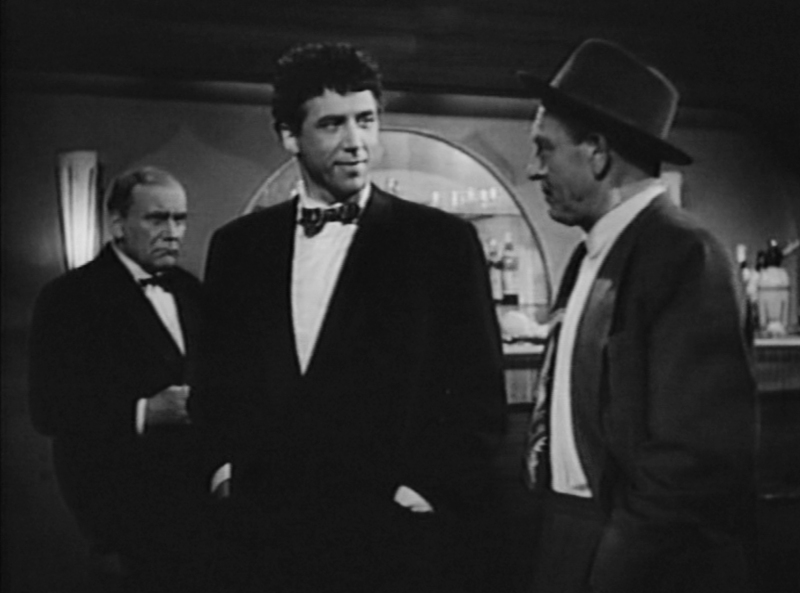 There have been versions in Iranian, French, Danish, Swedish, Finnish, and Portuguese; Werner Herzog did a faithful adaptation of the play, while János Szász updated the story and filmed it in noirish black-and-white; and there are over a dozen made-for-TV versions, including a 2013 German one starring Tom Schilling that adds modern German/Turkish issues to the mix. For the DEFA version, director Georg C. Klaren, who also wrote the screenplay, uses the conceit of setting the surrounding story in an operating theater where the body of Wozzeck is being discussed by a doctor and his students. The doctor had been using Wozzeck for absurd experiments, such as restricting his diet to peas, ar forcing him to avoid urinating. 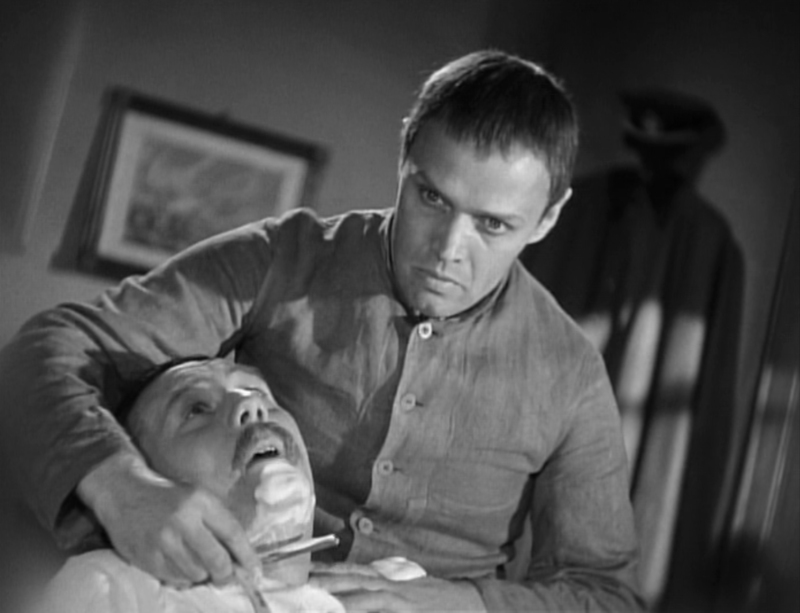 Now that Wozzeck was dead, the doctor blamed Wozzeck’s homicidal behavior on his genes. In attendance at the operating theater is a young Georg Büchner, still a student at this point. Büchner rejects the doctor’s supposition that Wozzeck was doomed from birth to be a killer and uses the moment to defend the soldier and show the part of the doctor’s part in the man’s eventual descent into homicide. There is more than a hint of the Nazi in Wozzeck’s persecutors, from the doctor’s absurd experiments and his belief that you can tell the quality of a man by his appearance, to the outfits worn by the officers, which resemble those of the Gestapo. 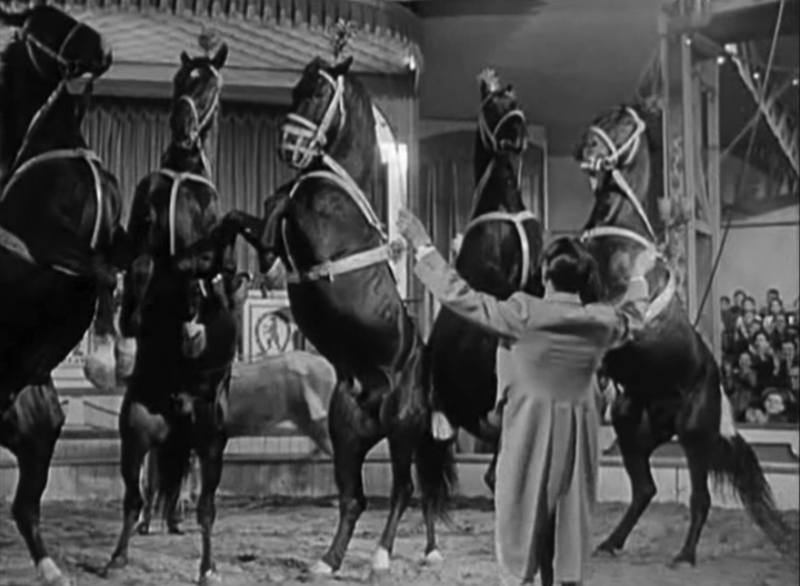 Like many of the best filmmakers (Preston Sturges, Sam Peckinpah, Ingmar Berman and Federico Fellini, just to name a few), Klaren got his start as a scriptwriter. Besides creating his own scripts, he was also hired to write the German versions for films imported from England and Hollywood. 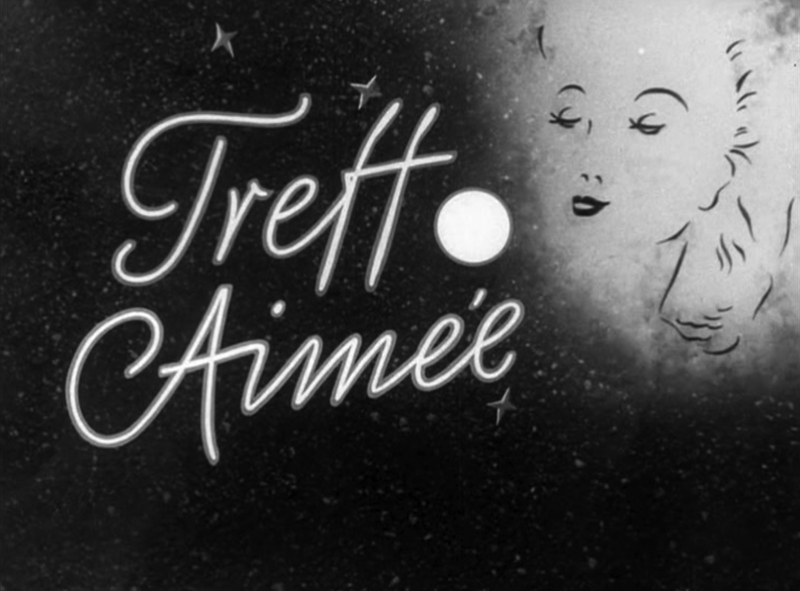 He wrote and directed his first film in 1931 from his own novel, Kinder vor Gericht (Children in Court). Klaren had wanted to make a film of Wozzeck for many years, but couldn’t get any traction on it while Goebbels was in charge. Klaren’s left-leaning political views essentially kept him out of the directing business, but didn’t stop them from hiring him to write scripts for some of their propaganda films. He made a few films for DEFA, before returning to his home country of Austria where he made his last film, Die Regimentstochter (Daughter of the Regiment). He died in 1962 while visiting England. Wozzeck is played by Kurt Meisel. Meisel’s Wozzeck isn’t as inherently psychotic as Klaus Kinski in Werner Herzog’s version, nor as grubby as Lajos Kovács in János Szász’s version. Meisel’s portrayal evokes much more sympathy than most. He is an upstanding, likeable fellow, who tries to do the best he can, but has the deck stacked against him. There is some suggestion that he is already schizophrenic, but his murderous insanity grows under his mistreatment at the hands of those with more power. Like Klaren, Meisel was an Austrian. He started working in films in 1934, playing Tip in the 1934 German adaptation of Little Dorrit and appeared in films throughout the Third Reich years. 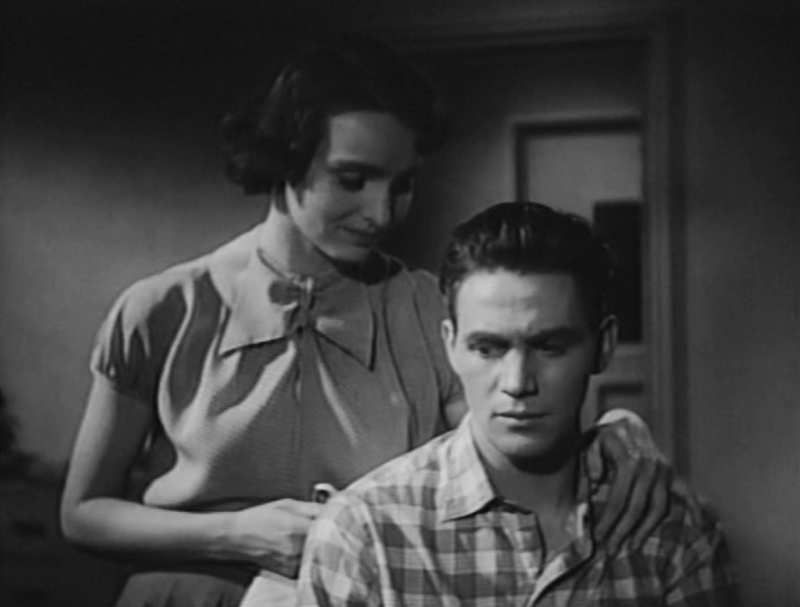 He appeared in the lavish and way over-budget Kolberg, a film sometimes credited with helping bring down the Nazi regime. Wozzeck is his only East German film. After that, he started directing his own films in West Germany and Austria. He is best known to American audiences as Alfred Oster, the man who teaches Jon Voight’s character to infiltrate the secret SS group, in the disappointing adaptation of Frederick Forsyth’s excellent book, The Odessa File. Meisel continued to act both on stage and screen throughout his life and died in his hometown of Vienna in 1994. 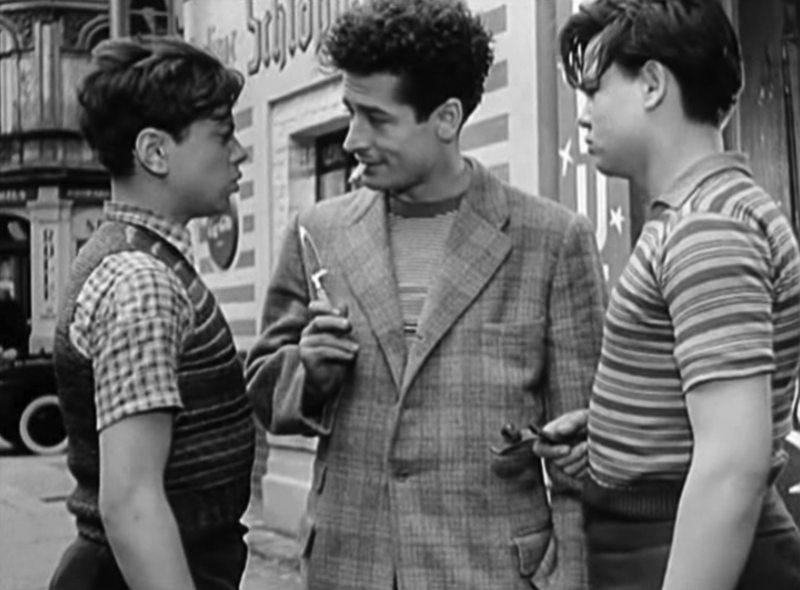 The cinematographer on Wozzeck is Bruno Mondi. Mondi was one of the leading cinematographers in Third Reich Germany, and was employed often during the early years at DEFA. Today he is best known for his colorful work on the Sissi films (see The Heart of Stone for more about Mondi). 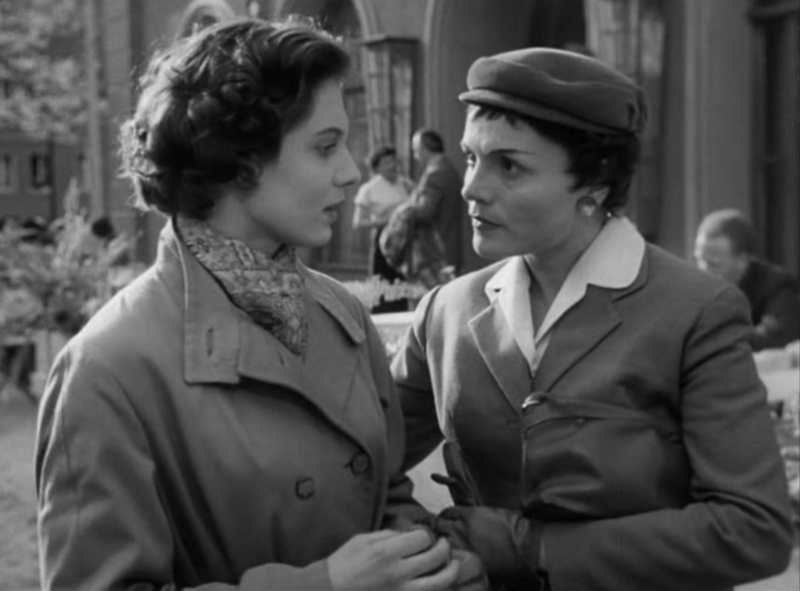 The editing was by Lena Neumann, one of the foremost editors during the early years of DEFA. 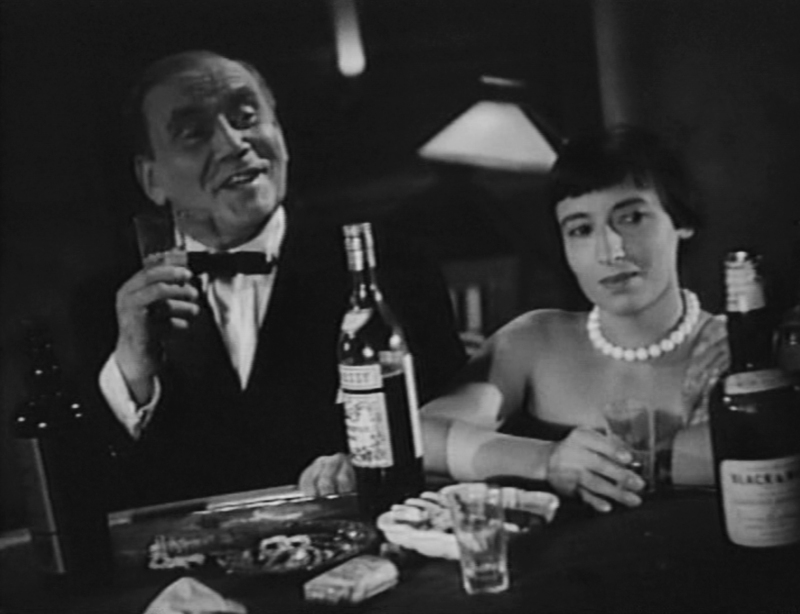 The soundtrack was by Herbert Trantow, who, like Mondi, worked at DEFA until the West German film industry was back up and running, and then restricted his work to West German films. 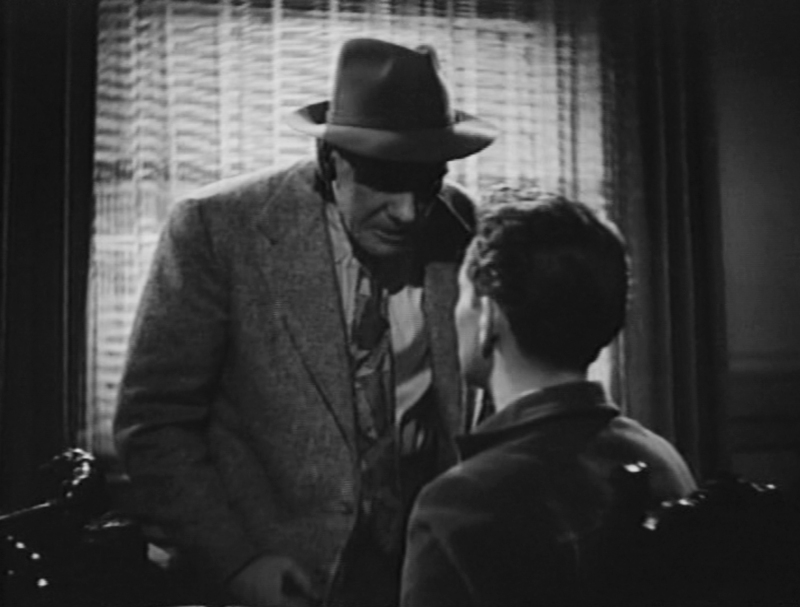 Trantow got his start in films with Wolfgang Staudte’s 1944 film, Der Mann, dem man den Namen stahl (The Man Who Stole My Name), which was banned by the Nazis and wasn’t put back together and re-released until 1996. 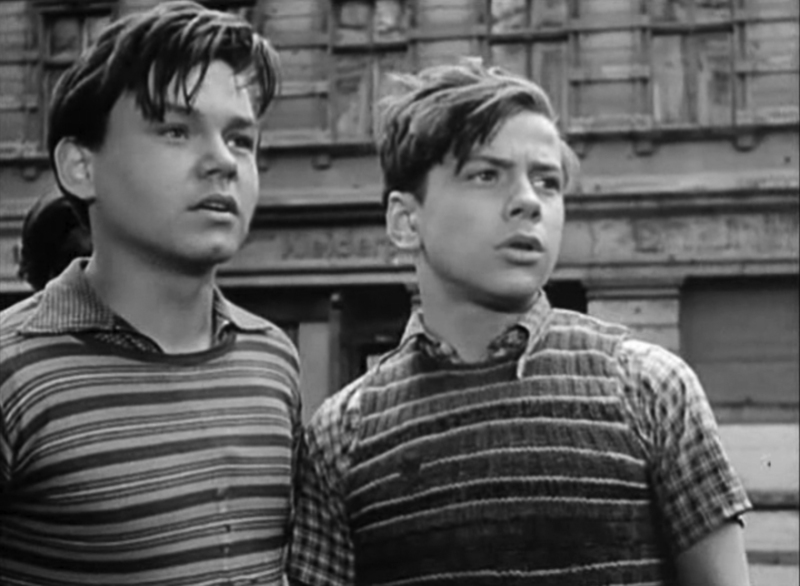 Wozzeck was Trantow’s first DEFA film. He died in Berlin in 1993. 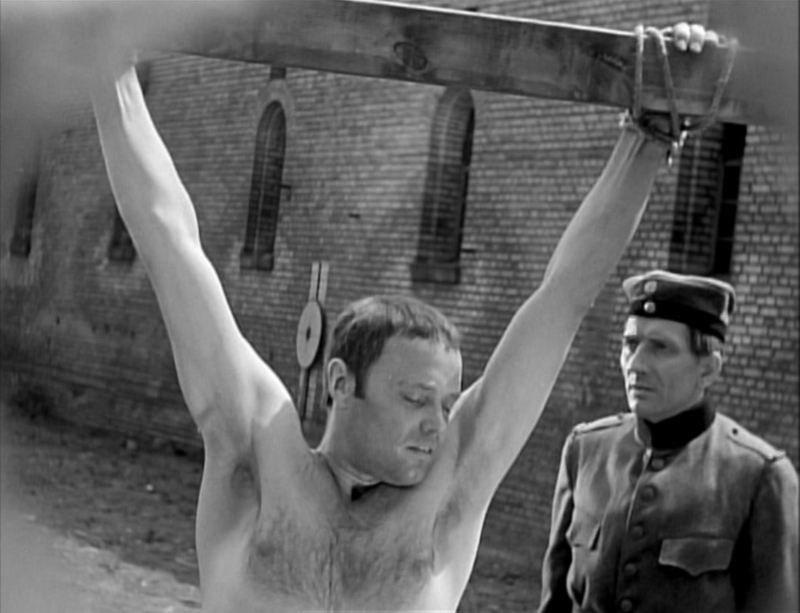 Klaren’s Wozzeck was well reviewed and popular, but its message was seen by the West German authorities as more pro-communist than anti-fascist, so the film did not screen in West Germany until 1958, and even then in limited runs. The DEFA film remained the only film version of the play until the sixties, when a strong renewal of interest in the story occurred. 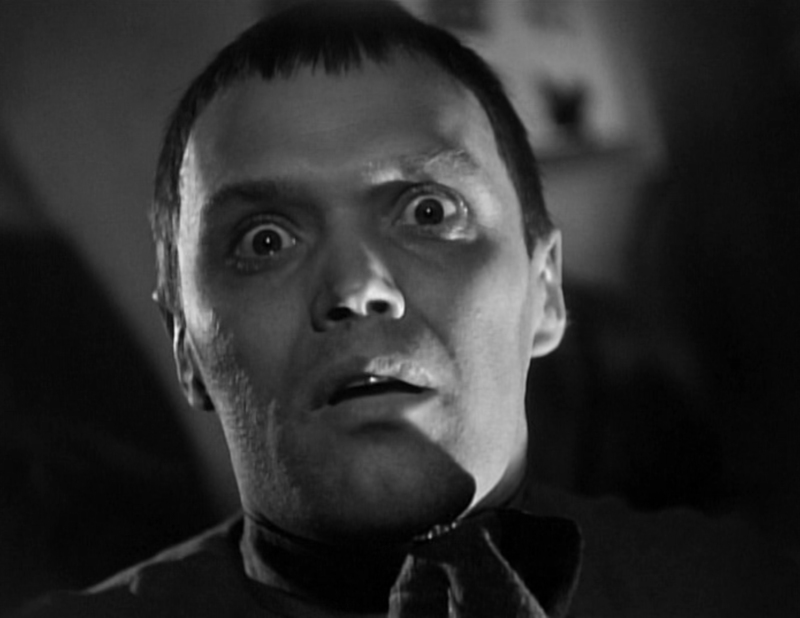 Starting in 1962, Woyzeck became a popular subject for TV movies, with seven different versions appearing on TV around the world from 1962 to 1968. Amazingly, the play wasn’t filmed for the movie houses again until 1979, when Werner Herzog did his version of the Büchner’s play (a 1973 Italian version received some theatrical distribution, but it had originally been made for television by RAI). There has never been an American film version of this play, although it seems like ripe territory for someone to bring an American slant to the story. Wozzeck reminds us that there are many ways to oppress a person, and that the effects of this rarely impact the oppressors, but can be fatal to others.